What do stars and goddesses have in common? Quite a bit, if we look at Shine’s first every opera production, in collaboration with St Andrews Voices and Byre Opera. The baroque opera The Judgment of Paris, by British composer John Eccles, was first performed in 1701, around the same time that Newton published his work on the properties of light. Three goddesses sing to convince the shepherd Paris that they deserve to be given the infamous golden apple, and each goddess’ musical spectrum can be associated with a colour: blue, green or red. And when all three goddesses sing together, their voices blend in white light. Our production includes a spectacular light installation designed by Shine artist Tim Fitzpatrick, that connects Eccles’ music with Newtons colours. The cast and orchestra consist of students and staff from the Music Centre of the University of St Andrews, under direction of Jane Pettegree. And that connection between stars and goddesses? Come to our opera, and find out! If you want to have a sneak preview: have a look at our program notes here. We’re very happy to announce that Shine artist Tim Fitzpatrick is currently exhibiting his work in MUSA! His work will be on display throughout May and June, so do drop by when you are on the Scores in St Andrews! MUSA opening hours are available here. The art installation that Tim Fitzpatrick designed for Explorathon 2017 is still on display in the Byre Theatre in St Andrews. If you have not seen the installation yet (and the MaNGA observing plate that proudly features as centre piece), then drop by in the next few days, before the installation will be taken down again. We have been a bit quiet on the webpage, but a lot of Shine work has continued since the International Year of Light. And we’re very happy to now report that we’re back with a new series of event! We will keep exploring light and all its fascinating properties through Science, Art and Music, and keep an eye on this website and our twitter account @shine_iyl2015 to see what we have planned. First on the agenda: Shine goes to Hull! Hull is UK City of Culture 2017, and that seemed a perfect occasion for British astronomers to organise their National Astronomy Meeting in Hull. Astronomer Dr Anne-Marie Weijmans and artist Tim Fitzpatrick will be there too, with an updated version of the artwork that Tim designed for the Byre Theatre in St Andrews, celebrating the use of spectra in the MaNGA galaxies survey. If you are in the neighbourhood, then do drop by and let us know what you think of this art installation! 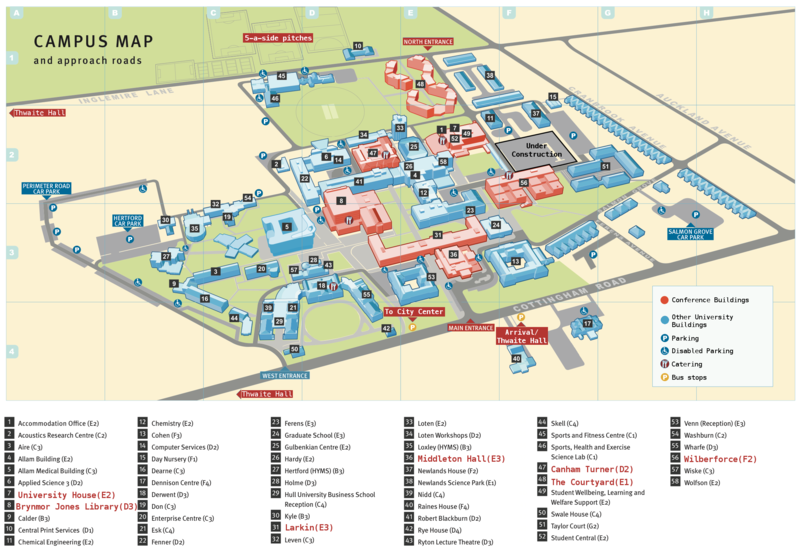 The artwork will be on display Monday 3 – Thursday 6 July, in Middleton Hall, University of Hull: that’s building 36 on this map. And we can especially recommend the public talk by astronomer Professor Chris Lintott, well-known from the BBC program ‘The Sky at Night’, who will be talking about galaxies! You can attend for free, but you do need to register to make sure that you’ll have a seat. MaNGA observing plate and emission line spectra, all combined in an art-installation by Tim Fitzpatrick. Picture taken in the Byre Theatre, St Andrews, 7 November 2015. Credit: T. Fitzpatrick. Of course our popular cosmic keyboard will be there too! (Credit: T. Fitzpatrick). Explore the properties of light with all the interactive science demos that the physicists and astronomers of the University of St Andrews have prepared for you. Each demo will have a physicist of astronomer who you can ask all your questions about light! See the night sky during day time in our planetarium! Our team of planetarium presenters will tell you all about the constellations, and how to find your way navigating the stars, in case you ever get lost! Planetarium shows are scheduled for 10:30, 11:30, 12:30, 13:30, 14:30 and 15:30, and will last about 20 minutes. The New Music Ensemble rehearsing Eddie McGuire’s ‘Galaxies Symphony’ (Credit: T. Fitzpatrick). The New Music Ensemble of the University of St Andrews Music Centre will give two light-filled concerts, at 12:00 and 14:00. They will play ‘Light is both a wave and a particle’ by Australian composer Matthew Hindson, and will also play a world-premiere with the ‘MaNGA Galaxies Symphony’ by Scottish composer Eddie McGuire. Eddie will introduce this new music piece himself. Dr Tom Brown of the School of Physics and Astronomy will give a public lecture at 11:30 and 13:30, on the wave and particle nature of light, to accompany the music piece by Matthew Hindson. A preview of Tim’s artwork featuring MaNGA and spectra. Come to the Byre to see the whole piece! (Credit: T. Fitzpatrick). And of course, our very own Tim Fitzpatrick will finally reveal his art installation! Tim took the inspiration for this art from the MaNGA galaxy survey, just like Eddie did for this musical composition. His artwork will feature an original MaNGA observing test-plate, and will showcase the use of emission line spectra in astronomy and in art. Tim will be present to talk about his work with Shine, and the processes involved with designing this installation. For more details, download our program booklet here: ShineBooklet. We hope to see you at this special event, drop by at any time, stay as long as you want, and have fun! But wait, there is more! In the evening, we move to the Observatory at Buchanan Gardens for our Open Night. We’ll see Uranus, Neptune and Pluto, if the weather is cooperative. And there will be more music from the Music Centre’s Saxophone Quartet, as well as more public lectures and more science experiments. Telescopes will be open 6 – 9 PM. The University Observatory, with the largest optical telescope in the UK! Shine is back after a break over the summer! We are now in full preparation for our big science, music and art festival in the Byre Theatre on 7 November, and in the upcoming weeks we will use this blog to show you some of the activities that we have in mind. Today, let’s talk about observing galaxies. Our very own Dr. Anne-Marie Weijmans is the lead observer for MaNGA, which has nothing to do with Japanese cartoons, but everything with obtaining as much information as we can about nearby galaxies. MaNGA stands for Mapping Nearby Galaxies at Apache Point Observatory, which is a telescope site in New Mexico, US. APO is home of the 2.5-meter Sloan Telescope, and although this is a modest size for a telescope (the big ones in Hawaii and Chili have mirrors up to 8 meter in diameter! ), the Sloan Digital Sky Survey is one of the most successful surveys in astronomy. The Sloan Telescope first took images of a very large part of the northern sky, and then was equipped with a spectrograph, to unravel the light of galaxies in different wavelengths. This allowed astronomers to determine the composition and velocities of stars and gas in galaxies, learning more about the way that these galaxies formed. Now, the Sloan Digital Sky Survey measures properties of stars in the Milky Way (APOGEE survey), determines the cosmic expansion rate by measuring very accurate positions of far away galaxies (eBOSS survey), and maps nearby galaxies with MaNGA. How do they do that? The answer is by using a very sophisticated and effective observing strategy, using plates. These plates are drilled in Seattle, using a very precise process. We start with an aluminum plate, and at each galaxy or star position, a hole is drilled. The plates are then shipped to APO, where a team of plate pluggers plugs one fiber into each hole. Each fiber goes to the spectrograph, so that when the observers during the night attach the plate to the telescope, the astronomers get a spectrum for each galaxy or star. The Sloan Digital Sky Survey has some great movies on YouTube, that show you the drilling process, plugging, and night observing (click on the links to see the movies). And at Shine we are very lucky to have one of these plates in our possession: we have a very rare MaNGA plate, that was drilled for a test-run in January 2013, when MaNGA was still in its development phase. Anne-Marie spent 3 weeks at the APO mountain top that winter, to get all the test data in place. Want to see this plate, and talk to Anne-Marie about her experience with observing galaxies with MaNGA? Then come this Sunday 6 September to Anstruther, where artist Tim Fitzpatrick has opened the doors of his studio for Fife Doors Open. Our MaNGA plate will be on display, and astronomer Kirstin Hay will also be there with a cosmic floor keyboard, where you can step along the expanding Universe. We’re at Murray Studios, 21 Cunzie Street, between 14:00 and 17:00. Alastair Hodson and Rémy Köth demonstrating our pulsar keyboard during Science Discovery Day (credit: Carolin Villforth). It is now a bit more than a week ago that we celebrated an Open Night at the University Observatory in St Andrews. During the day, we had our pulsar keyboard out as part of Science Discovery Day, and many visitors enjoyed a pulsar demonstration by astronomy graduate student Alistair Hodson, and tried their luck with composing music out of pulsars. In the evening, the pulsar keyboard was joined by a radio receiver, and Dr Claudia Cyganowski was present to explain to visitors that a very small part of the static noise that they were hearing was part of the echo of the Big Bang. They had to be their own radio antenna though to be able to hear this. Anne-Marie Weijmans introducing Shine and the St Andrews Brass Quintet during the Open Night (credit: Carolin Villforth). Apart from trying out our two science demonstrations, visitors were also treated to a concert by the St Andrews Scholarship Brass Quintet under direction of Bede Williams, who performed astronomy inspired music by Scottish composer Eddie McGuire. The concert started with the piece ‘Orbit’, a duet for two trumpets that not only involved music but also orbital choreography. The full quintet then played ‘Auriga’, with each instrument representing one bright star in this constellation. The performance was concluded by the trumpet solo ‘The Big Bang’. The St Andrews Brass Quintet performing ‘Auriga’ by composer Eddie McGuire (credit: Carolin Villforth). After the concert, it was time for some astronomers to talk about their take on the astronomical themes introduced by the musicians. Dr Duncan Forgan talked about orbits of exo-planets, which are planets discovered outside our own solar system, orbiting stars other than the Sun. He even had some music incorporated in his talk, using orbital frequencies. Prof Ian Bonnell then talked about stars and other interesting features of the constellation Auriga, and Dr Rita Tojeiro explained the things we know and don’t know about the Big Bang. Ian Bonnell talking about the stars in Auriga (credit: Carolin Villforth). Unfortunately, the weather was not very cooperating and the star gazing did not work out as planned. Still, many people came to the observatory to see the telescopes themselves, to take part in the children and parent activities, and to enjoy our Shine displays, concert and talks. If you want to see the Observatory in action though: during the International Year of Light it will be open for visitors every Wednesday between 7 and 9 PM (apart from summer closure May to August, when it does not get astronomically dark in Scotland). So do drop by, and see what our astronomers are up to! PS: were you there at the Open Night? Did you fill in our questionnaire already? If you didn’t, click HERE and take 5 minutes to fill out our form. You will help us to improve our Open Night with your feedback, and you can register for our prize draw for a beautiful Hubble Telescope picture book! Visit our Open Day and win an Astronomy Book! Did you visit our Open Night? Would you like to help us improve our Open Nights? Then please take 5 minutes of your time to fill out our questionnaire: click HERE. You can win this book by taking just 5 minutes to fill out our questionnaire! Your feedback is very valuable to us, as we are always striving to improve the activities on our Open Nights, and making sure that they are accessible for all. If you fill out our questionnaire before 21 March, and leave your e-mail address in the comment section, then you will participate automatically in a prize draw, with a chance to win an astronomy book full of pictures of the Hubble Space Telescope. This Saturday 7 March will be a busy day for Science in St Andrews. Between 10 AM and 4 PM, the Physics and Astronomy Building at the North Haugh will be filled with science demonstrations for Science Discovery Day. We’ll also be there with Shine, with our pulsar piano keyboard: find us in the lounge if you want to know more about rapidly rotating neutron stars, and compose your own pulsar symphony! More info, and a map to the building can be found here. In the evening, we’ll move to the University Observatory, for an evening of star gazing (weather permitting) and music. The telescopes will be open between 6 and 9 PM, and we will be there with a large radio receiver to see if we can pick up background radiation from the Big Bang, and our pulsar piano keyboard will also make an appearance. The St Andrews Scholarship Brass Quintet of the Music Centre will perform astronomy inspired music, and St Andrews astronomers will give public talks about the science behind the themes explored in the music. There will also be activities for children (and parents! ).